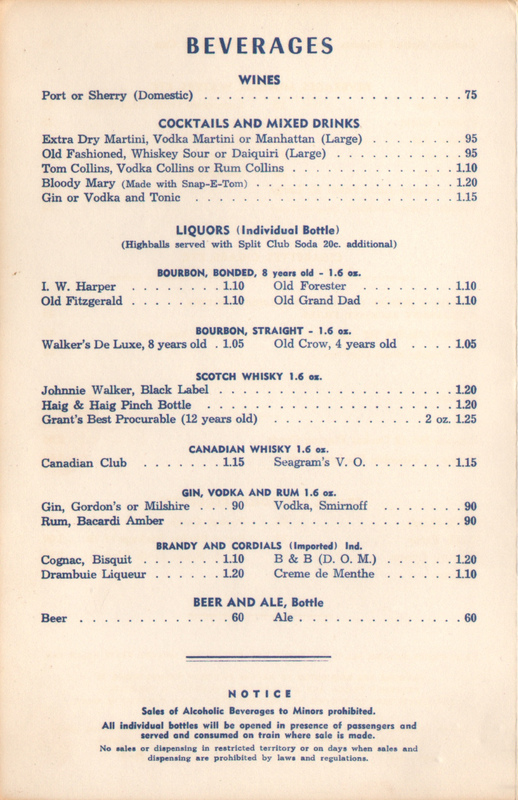 Description A beverages menu from 1968, near the end of Pullman Service. 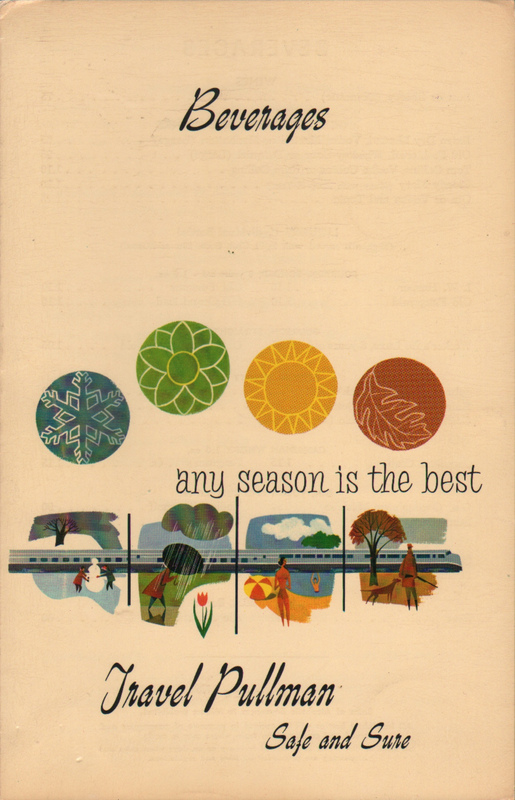 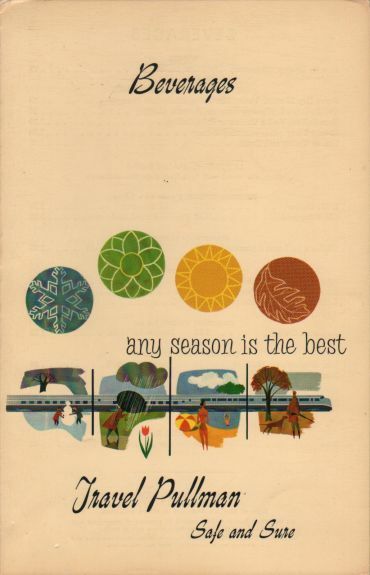 This is one of the last stock covers produced - "any season is the best - Travel Pullman, Safe and Sure" showing a train traveling through all four seasons. 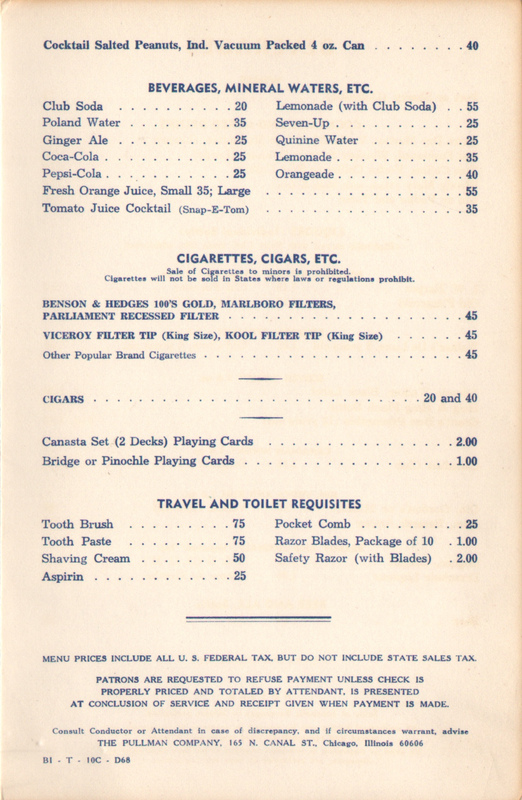 This example has beverages, tobacco as well as Travel and Toilet Requisites (Tooth Brush, Aspirin, Comb, etc.) 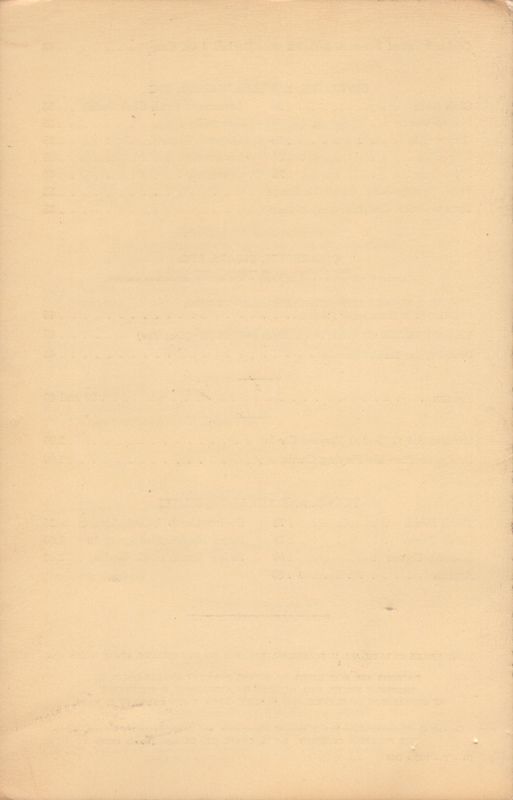 something not all menus had. 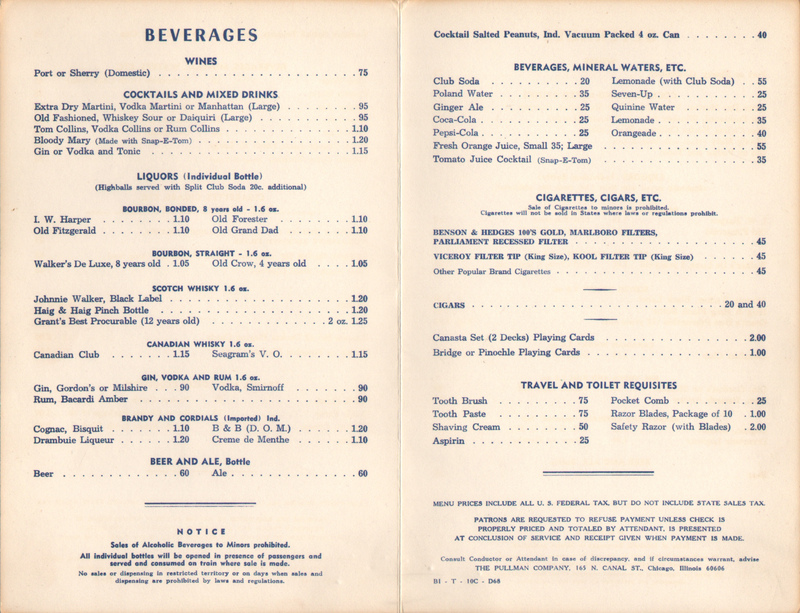 Menu code B1-T-10C-D68, a part of the B-1 series of beverage menus.